Tiptree is one of the oldest and strongest brands in the UK when it comes to jams and preserves with over 125 years of history. 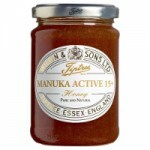 Tiptree manuka honey is sourced from a single supplier in New Zealand and is tested to ensure its quality authenticity. 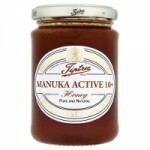 Tiptree Manuka Honey Active 15+ is tested and verified to ensure the highest quality. Tiptree have been making and sourcing jams and preserves for over 125 years.